Gitta Scheenhouwer, 27, in Melbourne. RIDING down a Victorian street, Gitta Scheenhouwer was doing what she loved. In one of the Dutch tourist's last pictures, the 27-year-old is seen smiling on her bike. 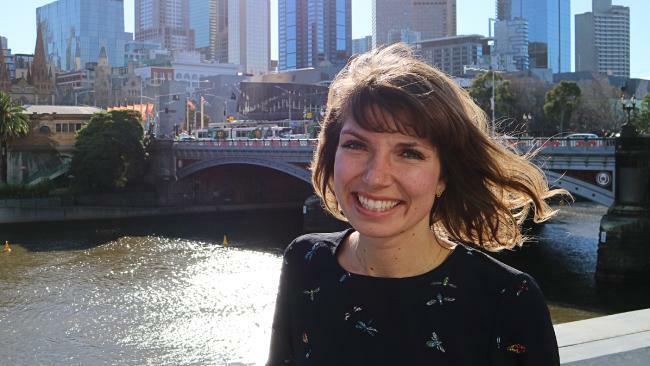 Her distraught family shared the photograph a week after she was killed while riding along Melbourne's busy Chapel St.
Ms Scheenhouwer was struck and knocked from her bike at South Yarra in what police allege was a hit-and-run. The driver, Michael Panayides, allegedly hit her in a stolen Mercedes Benz before exiting the vehicle, grabbing his belongings from the rear seats and fleeing without checking on her. She died at the scene and Mr Panayides was charged with culpable driving, failing to stop after a collision, failing to render assistance and negligently dealing with the proceeds of crime. He has been remanded in custody to face the Melbourne Magistrates' Court at a later date. In a statement released on Monday, Ms Scheenhouwer's family said they were struggling to deal with the "overwhelming sadness and sorrow" of their loss. 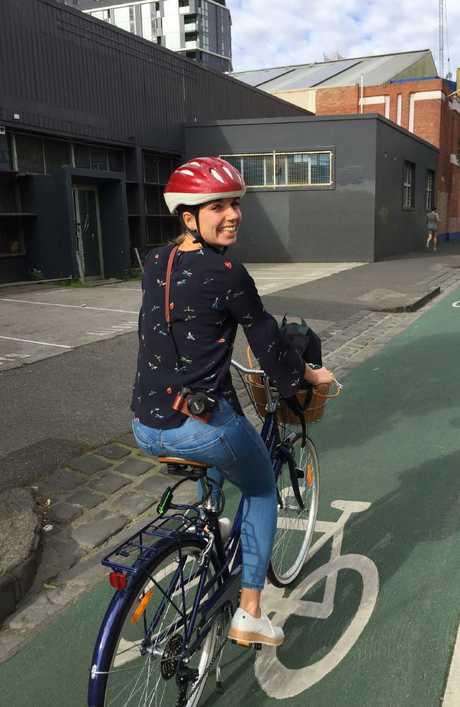 Gitta Scheenhouwer, who was killed while ridding her bike on Chapel Street in South Yarra on August 12. "Gitta and her boyfriend Thomas left their safe haven in the Netherlands to follow their dream to 'live down under' for a couple of years," the family said. "This was something they had been looking forward to for a long time. After visiting Sydney and Brisbane, they drove to Melbourne. At first they explored the city as tourists, but after a while Melbourne was becoming their own and it started feeling like a home town. "Both enjoyed every bit this awesome city has to offer; from the coast in St Kilda to the Queen Victorian market, running through the Royal Botanic Gardens and around Albert Park Lake to strolling to the South Melbourne Market, walking through the crowds in the CBD to visiting the beautiful dwellings and architectural delights during Melbourne Open Day. "Riding her pushbike is something Gitta always loved to do. She was so happy when she bought her new bike to discover Melbourne even more. "Gitta and Thomas were really living their Melbourne dream. "For her, this was the best feeling in the world. What most others thought to be impossible and only dare to dream of, Gitta had succeeded. "She enjoyed life to the fullest and lived it 100 per cent and more." Bystanders rushed to the aid of Ms Scheenhouwer after she was hit but she could not be revived.